Throughout this week we'll have a special edition of the Clan Spotlight, taking you back into the early history of Clan Wars. This was a time when a few Clans could hold down large portions of the Clan Wars map, when an alliance could take in over 85% of the entire map's income, and then right near the end, they painted the map blue. This is the time of NASA, and we'll be bringing to you insight from some of the leadership of these Clans every day this week. Another Clan that had a major rise to success after NASA, and still to this day has a huge influence on the map is Relic. They're a Clan of great talent that has somehow withstood the tests of time and persevered through many wars and many drama-filled events. lozarus [RELIC] - The current leader of Relic. What brought your clan into NASA in the first place? lozarus - Jern from Sturmgrenadier actually made the first steps into bringing us into the Southern Alliance, which was the victorious side of what was left over of the first large scale Server War, we slipped into NASA along with everyone else, which was more of a natural and somewhat accidental evolution. What was your favorite part about being in NASA? lozarus - Really it was the opportunity to understand the diplomacy "meta" that we were otherwise ignorant of prior to this. I really hadn't understood that there were so many people that took the game as seriously as what the core representatives of NASA did. Meeting new people and seeing how they ran their clan was a learning experience that I put to good use. I'd say I made a few friends, and for sure several good associations during this period, unfortunately many have left leadership or the game, but it was still worth it if not only for the fact that I got to hear so many people have mental breakdowns in such a short period. In your opinion, what was the main thing that led to the collapse of NASA? lozarus - Greed, overconfidence, and lack of respect from one clique that formed. The clans that valued themselves highly and had no issue putting valuations on others spent far too long looking outward rather than inward. I honestly gave very little time to what I thought other clans were worth and what their contribution to a union of Clans should be awarded, however the same could not be said for the other side. They had clans that were breaking down from the inside from inactivity, overconfidence, expectations of easy wins and most importantly dependency on gold "earned" via entitlement. Nolan1243 - Greed and, as Loz said, overconfidence. Do you think it's possible for a NASA-like alliance to exist today, even in scaled down form? lozarus - It could exist in a scaled down form or larger, anything is possible as long as parties are willing and it's mutually beneficial. I could go into detail about how it could be done better, or I could just leave it as a situation that I would hope never came around again because the majority of Clan Wars was stifled by it, although it did seem to be the natural progression for clans (see: states or nations) to seek peace and cooperation with each other for mutual benefit (see: the world). Zeppelinisgod - Actually, yes. The original NASA collapsed due to several main issues. The first of which was that, at the time, everyone was relatively new to the game. It was composed of a bunch of new players with limited experience of what has become a staple of the Clan Wars meta-game - diplomacy. Since then, this game has cultivated a large population of able diplomats that even the United Nations would be envious of (Thanks Wargaming). A second downfall of the original NASA was the time and labor intensive aspects that were needed to keep it running. Everyone has heard of the dreaded "Spreadsheets-o-DOOM". Not to mention the fact that the original NASA "charter", if you will, was drafted by an actual practicing legal attorney. The New NASA that is currently being whispered about in back alleys and PBKAC TeamSpeak would be more of a bro club with much fist bumping and excessive amounts of PowerPoint phalluses. Third, NASA 1.0 learned all too well that if you take over the entire map and leave nothing for the unwashed masses to fight over, there is only one option left for them and that is a French Revolution involving pixelated tanks. That's not exactly what happened to NASA but still, I'm sure the New NASA, if it comes to fruition, would leave a gold pot or two around for pubbies to fight over, so long as it keeps them off our back. 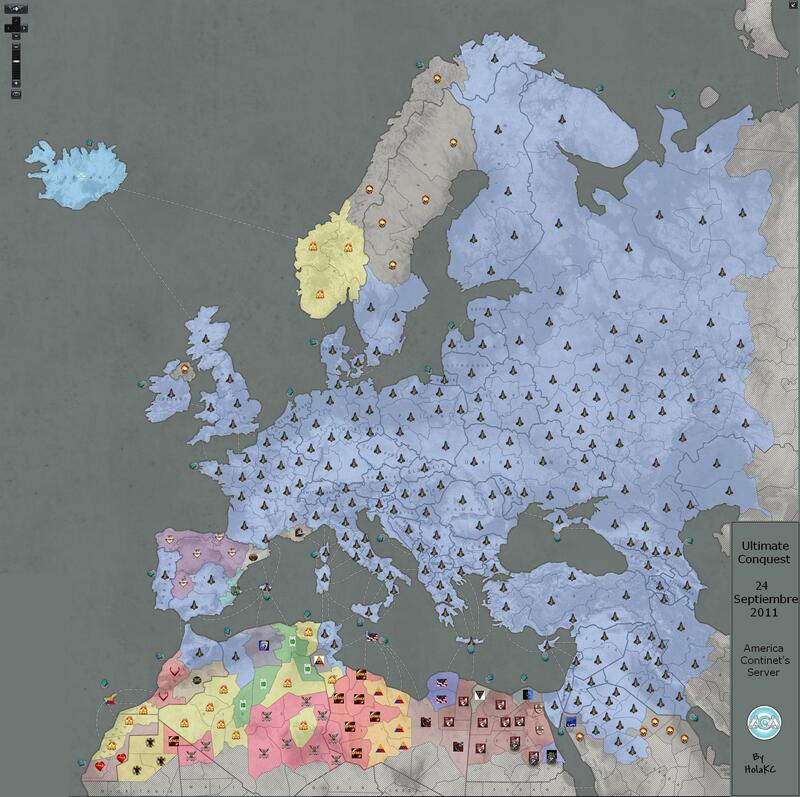 Nolan1243 - If anything, the new CW map mechanics encourage it. If you had to guess which Clans could make up the current-day NASA, who would be a part of it? lozarus - On paper, any clan that can field 2 - 3 teams a night was capable of putting up a good fight against "top tier" (see: top 10 clans) and was able to approach diplomacy in a non-pretentious manner would probably make for the best requirements. With that being said, a good 20 - 40 clans, too many to list to be honest. There are many clans out there today that are not considered great that would for sure have walked into NASA 1.0 without trouble. Any NASA today however would always have to have a core to build upon, and you couldn't build that core without hierarchy, and that hierarchy would have to include a majority of the top 10 clans. What was your proudest achievement for your individual Clan during the NASA era? lozarus - For my clan, I would have to say (and I'm being serious) developing a culture of being willing and able to maintain ourselves without the requirement for gold from the map. We still today carry a self-sufficiency that I would suggest is unparalleled amongst top clans, and it's partially for this reason that gold income, or expectations of which, that we lack fragility that many clans who lose their gold have. Nolan1243 - Having it not blow up, a la AoD/MLP. What was the thing you hated the most about being in NASA? lozarus - Being expected to participate in conversations where people ignorant of other clans were trying to apply valuations on others. Nolan1243 - In my case it was being threatened with being reported to the "War Council" (whatever that was) whenever I sperged/shot at 60%ers who were in NASA clans & played like 45%ers. What kind of reputation did your Clan build for itself during that time? lozarus - Reliable and straightforward. I would imagine that with the comfort of NASA, arrogance came too. Zeppelinisgod - As I said before, I wasn't in NASA but I have a unique third person view on this question. I remember the old NASA era RELIC coming off like a bunch cockroaches who just wouldnt die. This is a compliment. Nolan1243 - A good one, I'd hope... haha. The "Tiered Income Proposal" near the end of NASA was a very controversial topic... what was your Clan's stance on it? lozarus - I proudly coined the golden rule "8,333gpd" during conversations with the Goons, something i thought was good enough. This sentiment was shared more or less by the Goons (NDP, MS-W) and our closest associates who had the short end of the stick, however it would have to come at a cost to the top end who had to reduce their income to accommodate this socialist equality. What decisions do you think would have needed to be made to save the alliance? lozarus - Other clans valued themselves and their friends so highly that NASA would have to expand (into GVN in Scandinafrica, and The Four Horsemen in Spain) and the top 25% would have to take a cut in order to come some way to accommodate these goals, or it would never be achieved. Zeppelinisgod - As a spectator, I can't make that call. But as a self-absorbed Cheetos-fueled nerd and connoisseur of Clan Wars history, I think that they should have just taken the 8.33k gold. Nolan1243 - I'm not so positive it could have been saved, really. The egos involved would have ended up causing fractures down the line anyway. What Clan would you say was your closest allies/friends during NASA? Nolan1243 - The names I remember working with off the top of my head would be MS-W, NDP, RUS, and 503rd - RUS still being a close friend today. How much have you worked with other former members of NASA since the split? Zeppelinisgod - Loz needs to answer that one. But since I've known him, he's only really worked with the actual tankers he deems specifically trustworthy. lozarus - Forge, NDP, SG & Red Sky have all worked with varying degrees of cooperation with us, I might be forgetting some, but my bottom line is, you can't be a friend, then an enemy and have any expectations of working with me again, however you can be an enemy then a friend (see: Hardware RUS). Nolan1243 - Depending on how you'd define them, quite a bit. Clans breaking up during the death spiral NASA had at the end ended spreading people through a lot of current clans. So most of the time it's not a former clan you're working with, it's members of a former clan. Relic has remained successful and even grown following the NASA split, how have you been able to do this? lozarus - Raising our standards as we grow, adapting to changes as they happen, not giving into sentimentality with regards to inactivity and to keep our community tied together through centralized leadership and common sense practices. Zeppelinisgod - When Zeppelin was begged on hands and knees to join RELIC, there was much rejoicing in the streets and M60 Jesus smiled upon us. Nolan1243 - The core group of players and officers in Relic Gaming Community work hard at keeping everyone together and weeding out fractious members/players (with the big ugly axe if needed) if/when they find them. Not all can be found, but we've still avoided going the way of MLP or NUKE so obviously it's working. At the time of NASA, did you ever imagine Relic being able to grow to what is has today? lozarus - I didn't really see that far ahead, I play the game for tomorrow, in fact, I play the game for the final turn of Clan Wars, I make no decisions that reach further than a few hours down the line more often than not, and these decisions lend themselves to our adaptability. RELIC Auxiliary was a natural progression for developing talent, borrowed and improved upon from AoD. We've found that our greatest and most loyal source of good players is from the middle tiers. RELIC Veterans was a natural progression for keeping players and their accounts tied to our community. You don't really leave RELIC without being kicked out or made to cry. RELIC 2nd & 3rd was a natural progression for the overflow of talent that was applying that we didn't want to see go elsewhere and thus, contribute towards someone else's clan. RELIC in our previous game was about 260 or so strong, we're not "that" much bigger as a community than we were 5 years ago, the limitations that WG put on Clan size never really meant anything to us so we adapted to it. Zeppelinisgod - No, I would have bet money that IOC would wipe us out long ago. Nolan1243 - Shortly put, yes. This was part 2 of a mini-series of Spotlights on NASA Clans. For the forum discussion about this mini-series, click the button below.